Overall, the Florida citrus industry was delighted to hear the U.S. Department of Agriculture’s forecast of 79 million boxes of oranges for the state. After battling citrus greening for over a decade and then devastation from Hurricane Irma in 2017, 79 million boxes gave the industry a glimmer of hope. One industry member, Allen Morris, owner of Morris Agribusiness Services, says he was pleased to hear that number. “I like to see this crop increasing,” he says. However, Morris does not think this number is necessarily part of a trend. After examining forecasts from years past, there has always been a major production factor that has swayed the forecast. For example, the 2015–2016 season was slated at 82 million boxes. Then, in 2016–2017, that number dropped to 69 million boxes because of post-bloom fruit drop in the spring. Then, the next year, that number dropped even more due to Hurricane Irma. So, Morris is chalking this year’s forecast up to an increase in fruit yield per acre. “That (the increase) has been brought about by all the things we’re doing to manage greening, and they’re starting to pay off.” He adds that the trees have been given a chance to rest and replenish following the hurricane that blew a good bit of fruit off of the trees last season. However, despite this good news of 79 million boxes, the Florida citrus industry is still faced with tough issues. Two in particular are replanting lost trees and a declining market. According to Morris, Florida growers are simply not replacing the trees that have been lost. “Over the last three years, on average, we’ve only replaced 37 percent of the acreage that we’ve lost each year,” he explains. Although many trees are being replanted at higher densities, it still is not enough. Morris says that even if growers double their tree density per acre, it still will not make up for the lost trees. For example, the total number of Florida orange trees (bearing plus non-bearing) has declined every season for the past five seasons. Because of this, Morris believes that the industry will see a decline in the orange forecast over the next 10 years. The numbers may go up and down as production challenges arise, as he’s seen in the past, but overall there will be a decline. “Until we start replanting the trees that we’re losing, that long-term trend is going to be downward because you can’t lose trees and have production be on a long-term increasing trend,” Morris explains. Once citrus greening is combated, Morris says growers may have an opportunity then to make up for lost trees. However, even if the industry can bounce back from the mass amounts of trees lost, Morris believes there is still a problem on the market side. “We’ve lost over half of our orange juice market since 2001 or 2002, and we continue to lose about 5 percent every year,” he says. This current year has shown another 4.9 percent market loss. 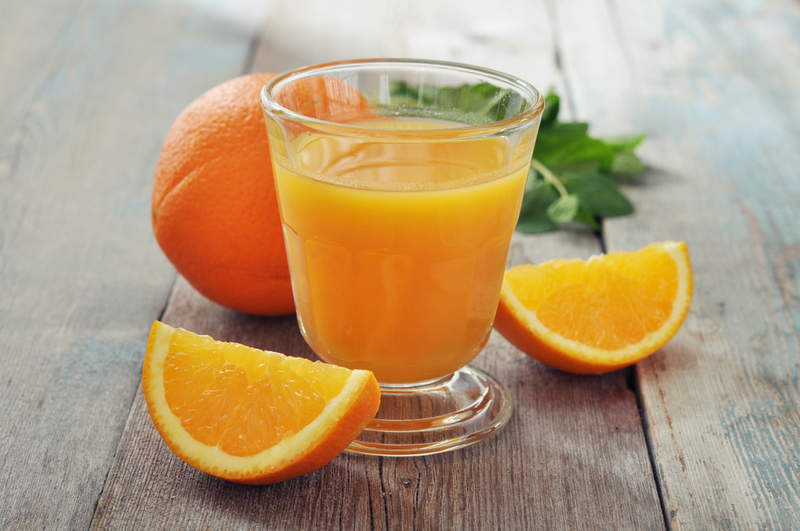 By Morris’ estimations, 60 percent of the decline in market seems to be due to high prices, while 40 percent is due to two things: 1) consumers’ irrational concern about the natural sugar content in orange juice, which has been shown not to cause obesity in adults or children, and 2) not enough consumers being aware of the numerous health benefits orange juice has. As far as prices this season, Morris believes there may be a reduction in prices due to the increased crop this year, but it will not be anything major. According to Morris, this year Brazil is projected to produce 100 million less boxes of oranges compared to last year. This impacts the U.S. orange juice industry since it continues to import roughly 27 to 30 percent of its market needs from Brazil. “They’re a big enough part of our needs that a reduction in production from them can have an upward effect on price for us,” Morris explains. So, a reduction in price may be seen, but it will not be great. And if Brazil’s production keeps decreasing, prices here may go up. Morris says growers should keep the decreasing market in mind. “If the market continues to decline at the rate it has been declining over the past five years, in 10 to 12 years, you won’t need but about 60 million boxes of oranges,” he says. Morris realizes that finding citrus greening solutions needs to continue to be a priority, so growers can increase their production and make up for lost trees. However, if these market issues are not dealt with, an increase in production will not do the industry any good. “That’s the biggest thing we face now,” he concludes.